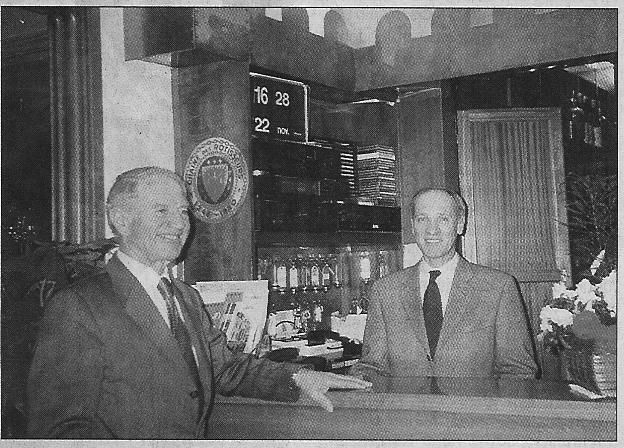 Charlie Hinton´s photo of Leo checking in an Air Bahama stewardess at the Hotel Italia, Luxembourg! Hotel & Restaurant Italia in Luxembourg! a fêté son 40e anniversaire! 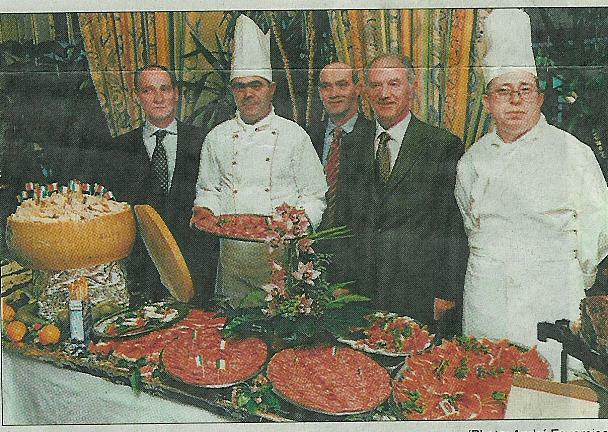 The management of Hotel & Restaurant Italia arranged a glorious reception to celebrate the 40 year jubilee in great style with friends and clients. The manager Leo Antognoli and his two associates and nephews the brothers Mario and Enrico Pierucci, were very happy to welcome a great number of invited guests to their premises for this festive occasion. The management took the opportunity of the celebration night to honor the two chefs de cuisine Barros Martins Abel and Rodrigues Pereira Antonio who have worked at the Restaurant Italia establishment during 25 years. They were presented with gold watches. 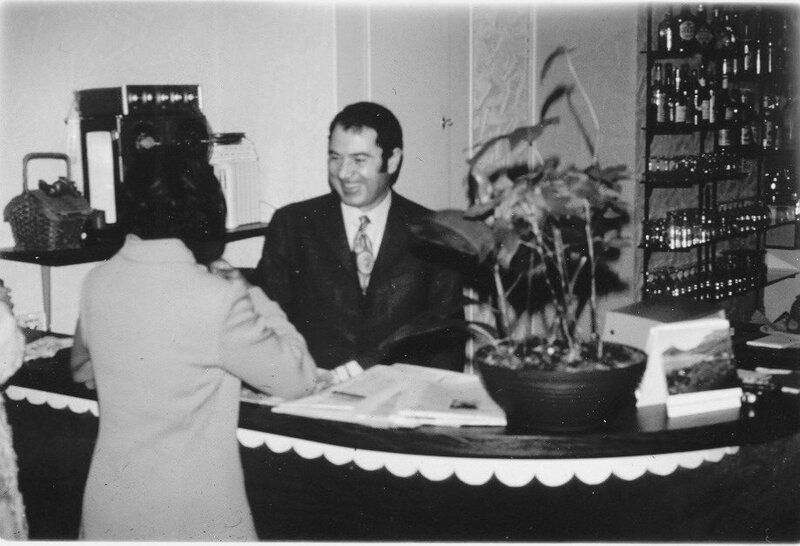 During the years the key to success for Hotel & Restaurant Italia has always been that of quality, great traditional Italian reception and a professional gastronomic level of high standing. The establishment rapidly gained reputation as one of the best Italian restaurants in Luxembourg Grand Duche.